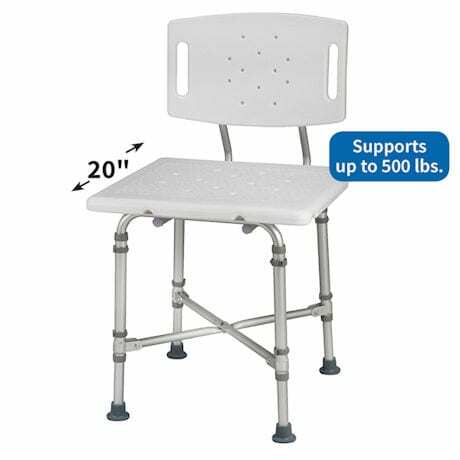 Unlike many bath seats that are uncomfortably shallow, the Deep Seat Shower Chair is a generous 21" wide and 20" deep. Drain holes in the seat and built-in BactiX™ antimicrobial protection help prevent the growth of harmful germs. 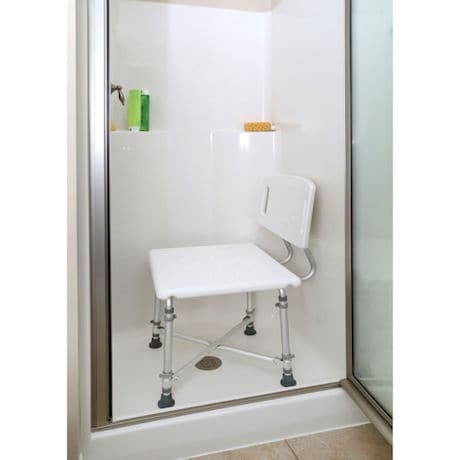 The Deep Seat Shower Chair has a lightweight anodized aluminum frame, cross leg supports, and slip-resistant tips for a sturdy shower seat that you can trust. 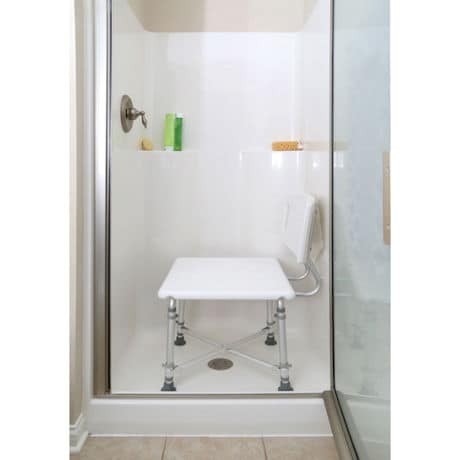 Height adjustable from 18"-23" in 1" increments. 500 lb. capacity. Please allow 2-3 weeks for delivery. This item is not eligible for rush delivery, or overnight delivery, and is unable to be shipped to a P.O. Box. Item can only be shipped within the Continental US.